Our most popular and best value activity. Grade 4/5 White Water Rafting with Cliff Jumping included for those with a head for heights! 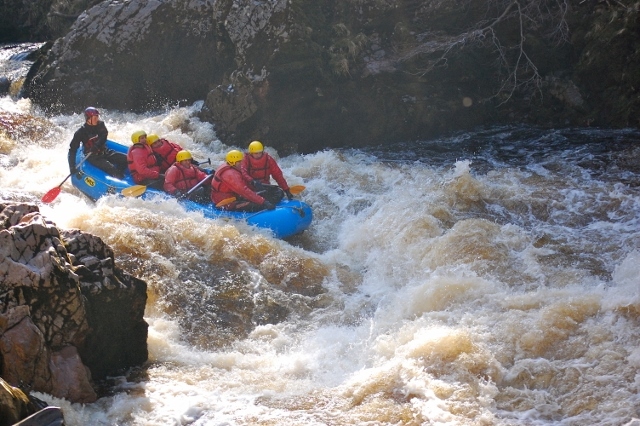 The River Findhorn offers the best white water rafting in Scotland and the UK being the only rafting trip in the UK above Grade 3 that runs all year. Ideal conditions in spring and autumn and after rainfall any other time of year when the whitewater rafting is world-class! 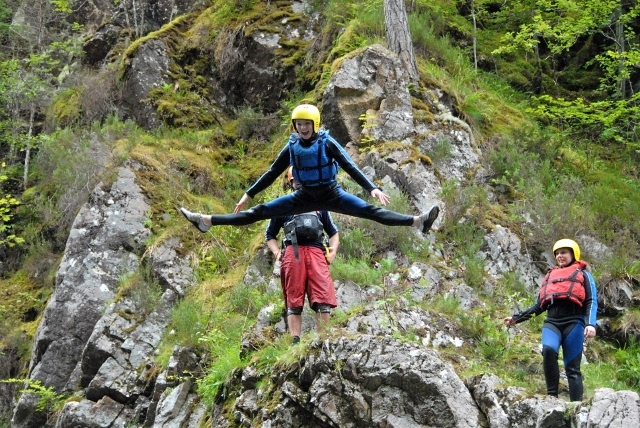 ACE is the only company to run the challenging Lower Gorge. 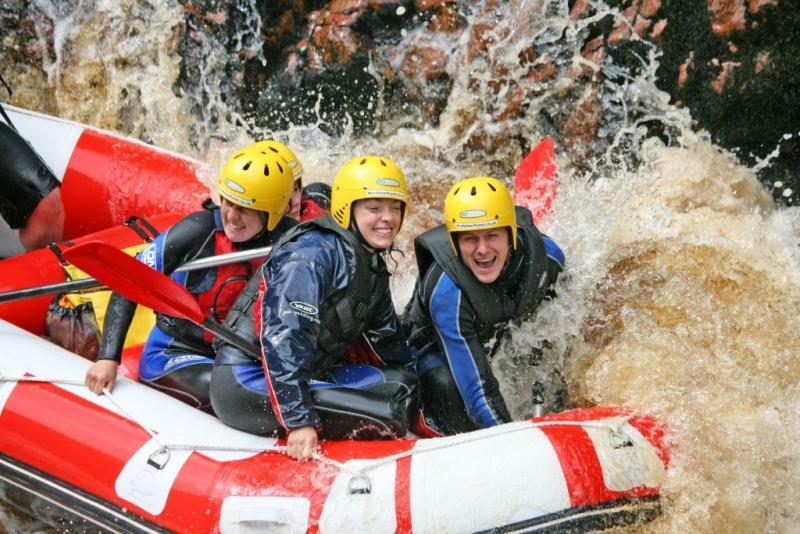 This is the benchmark rafting trip in the UK because of the level of rapids, combined scenery and duration of the experience. Sadly competitors present a full day rafting experience from Aviemore which is either delivered on the Spey, a river better suited for canoeing and is a stretch to call it white water rafting or on the Middle section of the river Findhorn which is what ACE offer as a lower price half day family rafting trip. 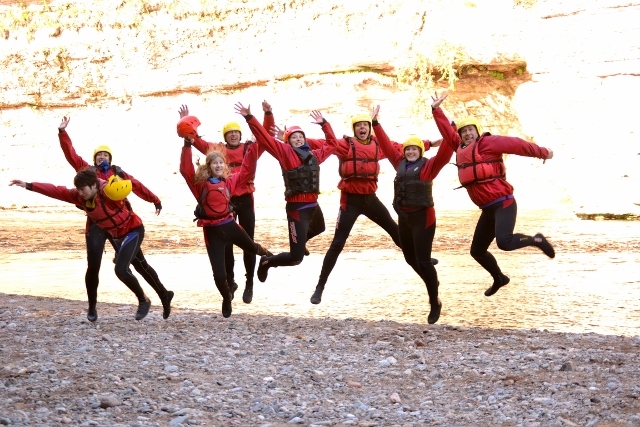 It’s one of the last main rivers untouched by man and offers the best white water rafting adventure experience in the UK for both unparalleled scenery and exciting white water. 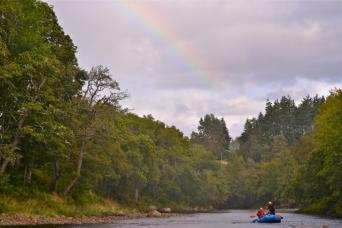 Fed by around 346 square miles of catchment it is one of the fastest flowing rivers in Scotland with four suitable sections of the river that we run on a regular basis. The variation of breath-taking natural landscape makes it unique within the UK. This adventure flows through: native Scottish woodland, traditional highland farmland, local game estates, dramatic towering gorges and ancient red-sandstone cliffs. 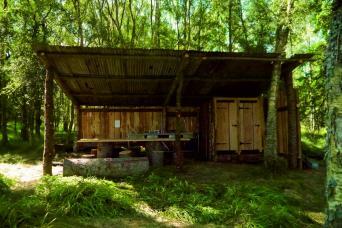 An abundance of local flora and fauna is maintained by conservation charities and local land owners. Whilst on this adventure people have been lucky to spot: red and roe deer, ospreys, other birds of prey, salmon, otter, red squirrels, grouse, pine marten, extensive bird life, voles, stoats and more. Upon arrival you will be welcomed by a member of the ACE team who will sign you in at reception and explain the coming events of the day. Quality warm wet suits and protective equipment will be issued which can be changed into in heated change rooms. The section that you will raft will depend on the water level and conditions on the day. You can be safe in the knowledge you’re getting the best experience available given the conditions. After boarding a bus it’s a short journey to the starting point or “put in” where you will be given a safety brief by one of our highly trained and experienced guides . You get to practice on the water before starting out on some minor rapids. In most cases the adventure will soon pick up pace as you navigate through “Randolph's Leap” into the spectacular Lower Findhorn Gorge. After all these years we don't understand why ACE is the only company that rafts this section of the river. It is a world class rafting experience and the best part of the whole river. At this point you will be tackling many rapids, waterfalls and white water features separated by calm sections of water that will allow you take a rest and enjoy the scenery. A short break in the middle of the adventure will allow you to grab a snack and take part in a cliff jumping session –with jumps up to 30 feet. 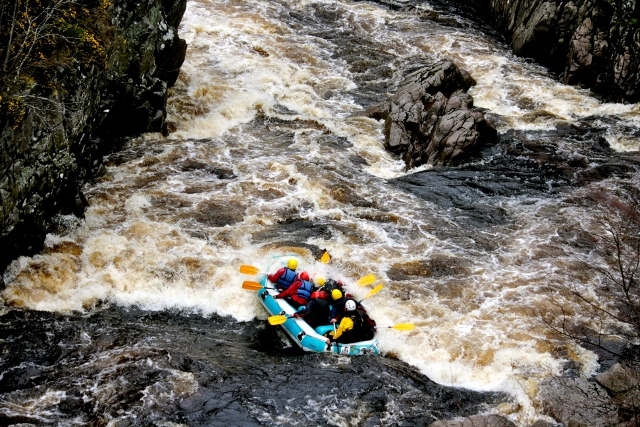 Any of the larger rapids can be easily walked for those that would like to come along on a trip but are concerned about running the rapids which enables everyone the opportunity to experience the stunning lower Findhorn gorge. 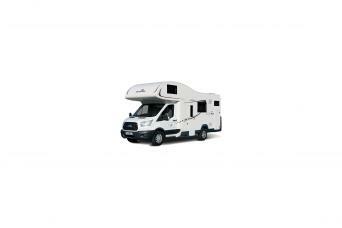 We collect you in our bus after a short walk up from the river and take you back to the ACE base where you can relive each moment from the comfort of our reception as you watch the photos of the day. Take advantage of our selection of hot and cold drinks and snacks. Our knowledgeable local staff will be on hand to answer any of your questions and give helpful advice about the local area. Photos are available online or the originals can be purchased.